All onesies come with pockets, hood, and fitted feet. There is elastic around the ankles. 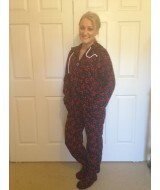 No anti s..
White with large daisy type Flowers - fleece onesie. This is one of the first florals I got and i..
White with mulit coloured polka dot onesie with hood, fitted feet, pockets. 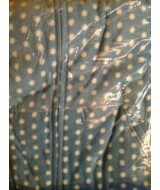 Super popular, just a..
All onesies have front zippers, hoods, pockets, fitted feet. 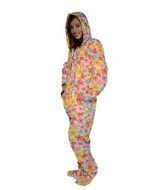 There is elastic around the ankles, but..
All onesies have hoods, pockets and fitted feet. 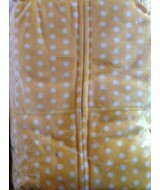 There is not anti slip on the soles of the feet, yo..
~~~~ All onesies have front zippers, hoods, pockets, fitted feet. There is elastic around the ..